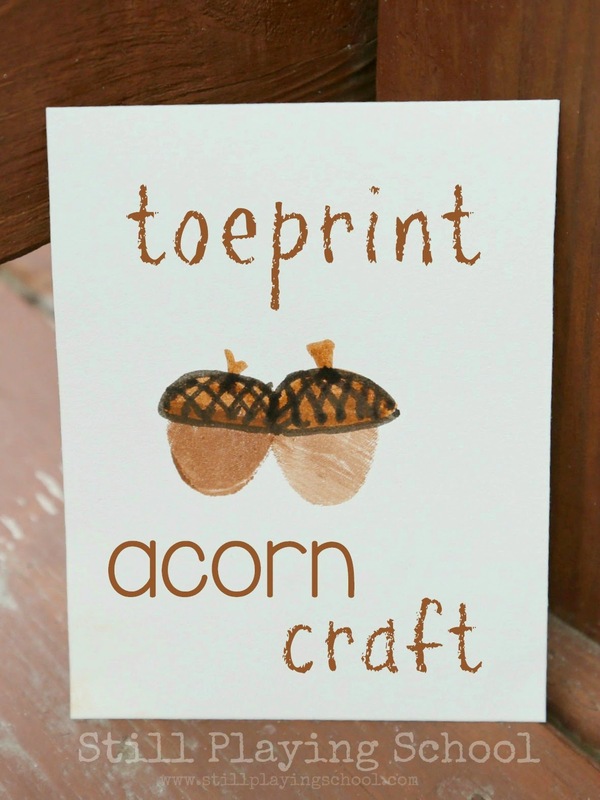 Create these toe print acorns with your kids for a Fall keepsake craft you'll cherish every Autumn! 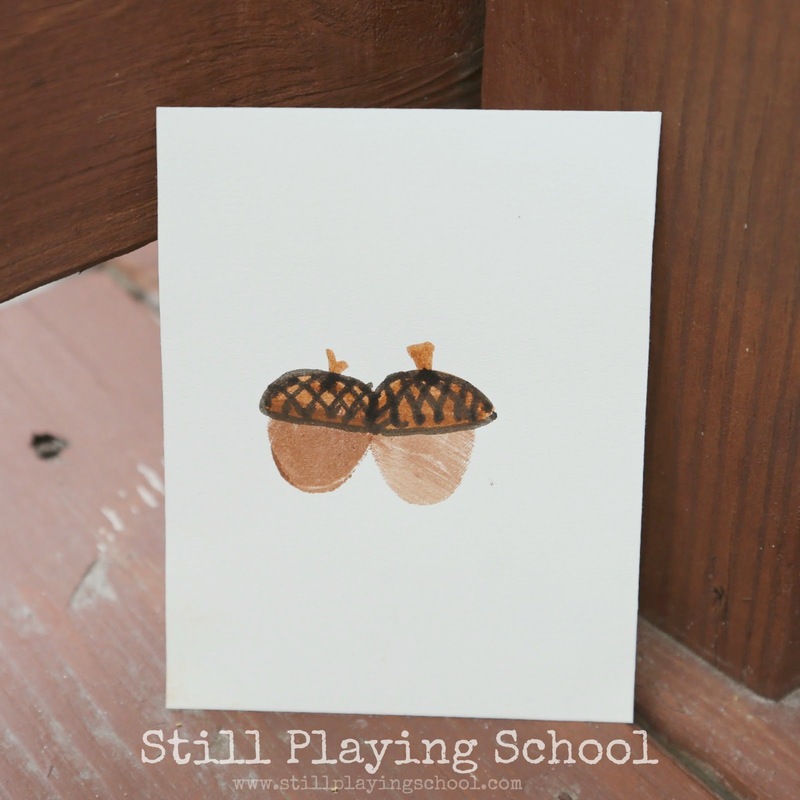 We attempted this craft first with fingerprints but they just weren't the right size and shape to resemble acorns. Our kids' big toes were perfect though. Plus who doesn't enjoy painting with their feet! I put our preschooler's and toddler's big toe prints side by side on the paper. You'll have to trust me that our toddler enjoyed this too since I was not talented enough to take photos while he had paint on his feet! I used a marker to add a few details. They make the sweetest acorns, don't they? 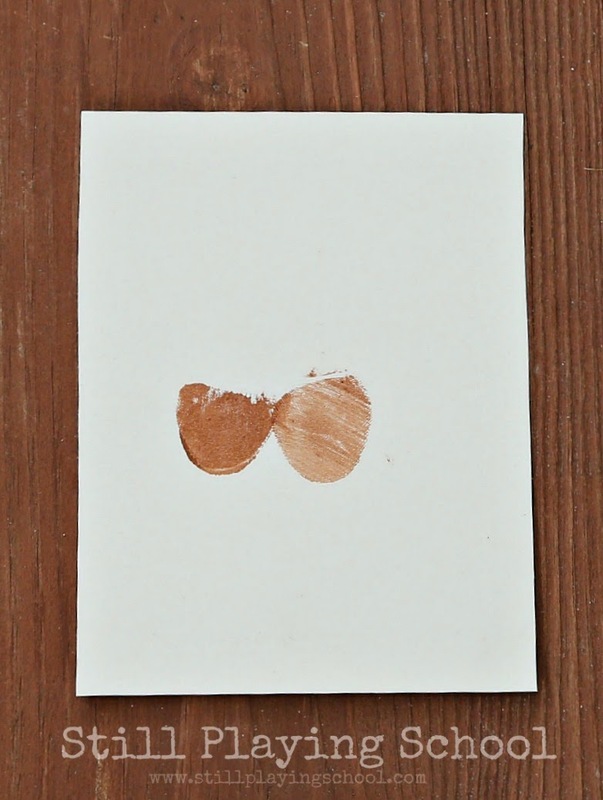 Grandparents would love these in their Grandparent's Day cards! 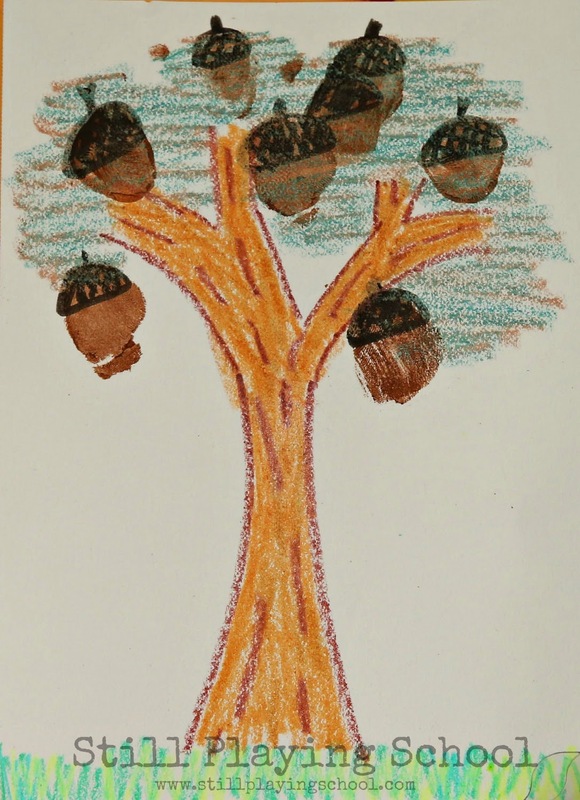 Be sure to write the year and which kid is which acorn on the back! (E's is on the left and D's is on the right!) I'm just nuts about their tiny toes that are growing every day and the acorns they created! We also made a whole tree of acorns (not to scale, obviously) which would be super cute for a whole family or classroom of toeprint acorns!